The object of the Association shall be to provide fire protection and to provide other emergency services. Welcome to the Hillsboro Area Fire Association web site. The site will provide budgets, events, meetings and other items that are of interest to our community. We accept other material of interest that can be published on this site. President Spenner called the meeting to order at 7:00 p.m.
All municipalities noted that the meeting had been properly posted. Minutes of the October 20, 2009 quarterly meeting were presented. Ray Mislivecek made a motion to approve the minutes, seconded by Elgin Fanta. Motion carried. The 4th quarter financial statements were presented and reviewed. The 2009 expenses came in $14,856.52 under budget. The fire department has upcoming expenses totaling approximately $13,000, including ten new pagers, repairs to Engine One, the matching portion of the DNR equipment grant, and two uniforms. Richard Sebranek made a motion to add $14,856.52 to the 2010 contingency account, seconded by Greg Kubarski. All voted in favor. Motion carried. The $10,000 CD will be renewed. $15,000 will be moved to a six-month CD. Bill Schiller made a motion to accept the 4th quarter 2009 financial statements, seconded by Darrow Novy. Motion carried. Discussion was held regarding the 2% dues money received by each municipality. Elgin Fanta stated that the town of Union pays a proportionate share of their 2% dues to the LaFarge and Yuba fire departments, in addition to their annual dues. Hillsboro Area Fire Association refunded their payment in a previous year, as all of the other municipality members included the 2% dues as a part of their annual fees due to the association. Elgin stated he believes this lacks a paper trail. Darrow Novy made a motion to table this matter until the October quarterly meeting, when the 2011 budget will be approved. Greg Kubarski seconded. All voted in favor. Motion carried. The 2010 DNR Grant is waiting for final approval. The fire association portion is 50%, or approximately $4,000. 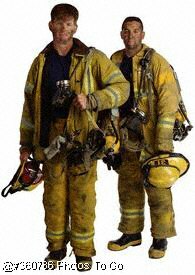 There hasn’t been a response regarding the FEMA grant for fire department uniforms. There are three firefighters taking entry level classes, and one new firefighter who will be taking this class. The fire department currently has 32 members. The brakes on Engine One still seize. A dry hydrant will be installed this spring. The next meeting was set for Monday, April 26, 2010 at 7:00 p.m. at the fire station. Bill Schiller made a motion to adjourn, seconded by Assistant Chief Tom Hotek. Motion carried.